Kebab e murgh is a wonderful main dish for any occasion. We typically think of Kebabs as being on a skewer. In Afghanistan they come in many shapes and sizes. Each Kebabi (Kebab sellers) has their own special recipe and flair. 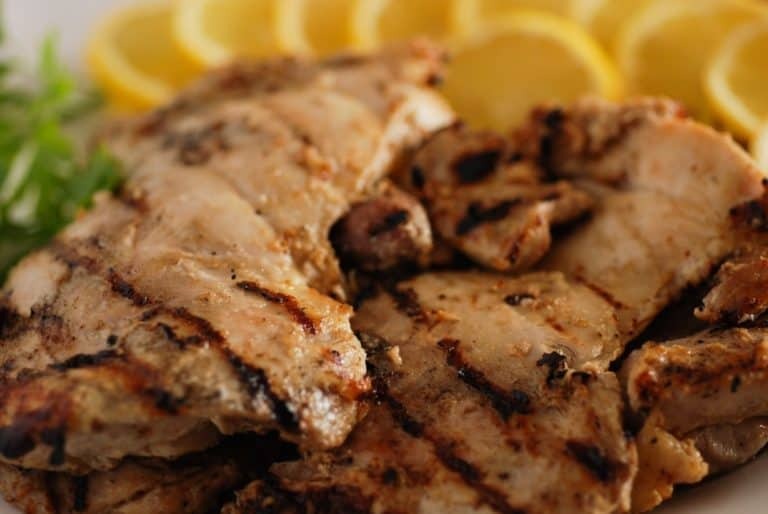 The kebabs are typically made of lamb but chicken and beef are also common. It just may be the yogurt that makes this recipe so exceptional. It is the yogurt marinade made with lots of garlic, cumin and coriander that makes these chicken kebabs so tender and flavorful. No one really knows why, but it is believed that the calcium in yogurt interacts with the protein in meats. This interaction creates a tender piece of meat. The yogurt also carries the flavors deeper into the meat as well. It is no wonder that yogurt has been used as a tenderizing agent for centuries. If you would like to make this recipe Plant Paradox friendly simply use plain goat milk yogurt, it works just the same as the whole milk yogurt as a tenderizer. 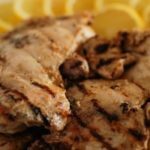 Of course you will also want to use pasture raised chicken as well. Also you would use cayenne or hot paprika if you want some heat instead of red pepper flakes. Kebabs are usually served on a flat bread called naan with a few condiments, like red pepper flakes and sumac. Serve these juicy, tender treats the same way. You will love this scrumptious recipe for Afghan Chicken called Kebab e Murgh, enjoy! A super flavorful, tender and juicy main dish called Kebab e Murgh. It is a chicken kebab that you will make again and again. An authentic recipe from Afghanistan. If you want to make this Plant Paradox friendly, use plain goat milk yogurt instead of whole milk yogurt, pasture raised chicken and if you want a little heat add a pinch of cayenne or hot paprika instead of the red pepper flakes. Mix all ingredients except the chicken thighs together in a bowl. Once mixed well, add in the chicken and coat all the pieces well. Cover the bowl and refrigerate - or pour the contents in a ziplock bag and refrigerate at least 24 hours. Take the chicken out and place into a colander to drain off the yogurt marinade. You want to remove as much of the marinade as possible by wiping it off. Spray your grill grates with some oil. Turn on your BBQ grill and get to a nice hot temperature. Grill the chicken about 7 minutes a side until they are cooked through. Remove chicken, cover in foil and let rest for 5 minutes before serving. Garnish with lemons, parsley, sumac and red pepper flakes. Kabuli Pulao – Afghan rice dish made lamb, carrots, raisins and apricots.